Most people often say, “This scent reminds me of something”. Well, if you want your guests to remember your wedding through a familiar smell, customising a candle is a sure bet! You may ask a chandler to create a scent that represents you and your partner. You may also customise the wrapping with your photo, the date and venue of the wedding and maybe a message of thanks to your guests. This wedding favour will surely light things up! If you and your partner are avid drinkers and a huge chunk of your guests are too, giving out a personalised bottle opener would be a perfect souvenir. You may choose from a wide array of designs, probably coat it with gold, tie a red ribbon in the middle, and put it in a customised box. You can definitely show your creative side while creating this wedding favour. Bottoms up! Succulents are small plants planted in miniature glass vases. They require minimal care and can be placed on countertops or tables as a decor. This is the perfect wedding favour if you and your partner love plants and want to share this hobby to your guests. You may place succulents on a beautiful vase, tie a red ribbon around it, and place a message card to let your guests know that they are “planted” in your memory! Calling all baker couples! It’s time to show your prowess at baking with this unique party favour. Customise the base of the cupcake and the frosting to the flavour and colour of your liking. You can also add a tiny message plate made out of chocolate and place it on top of the frosting. Place each cupcake on small cupcake boxes and tie a ribbon around it! When your guests know you baked the favours yourself, they will sure appreciate it even more! Everyone’s day usually starts with coffee and a personalised coaster is a sure bet for coffee lovers out there! You can have your personalised design printed on cork, on acrylic, or on glass, depending on your budget. Place at least three coasters in a box and tie a ribbon around it. It’s that simple! Your guests will surely remember the wedding every day! If you plan on having a beach wedding, giving out flip flops as wedding favour is the perfect choice! You can create different designs and have them printed on the flip flops. Place them inside a box and voila! Your guests surely won’t have a hard time walking on sand. This wedding favour is comfy, very usable, and unique too! Like making plans? Planners are very universal and are useful to anyone at any age. 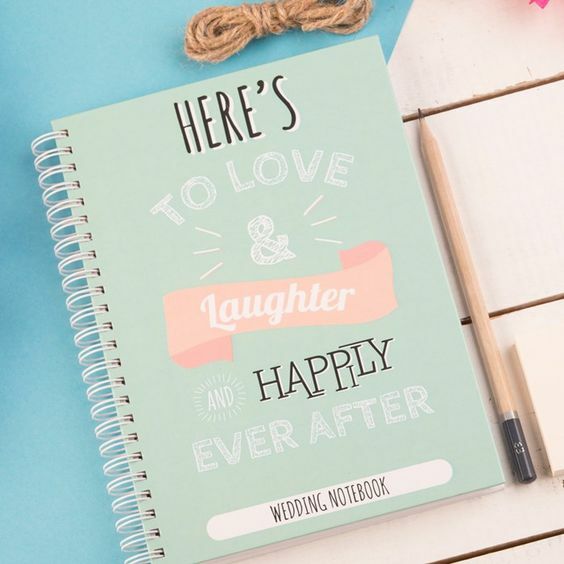 You may personalise each page with your favourite quote or Bible verses or maybe incorporate your love story on each section of the planner. This way, guests can plan their lives and know more about you and your partner too! This wedding favour is indeed something to note! Couples with a sweet tooth, this is a wedding favour you might consider. Customise the flavour of the chocolate depending on your taste and have it wrapped on personalised wrapping as well! You may also ask the chocolatier to create a customised mould for your chocolate bars so your names are engraved on each cube. This favour is too sweet to miss! According to a study, an average person usually opens the fridge 15 to 20 times a day. That’s the equal amount of reasons to customise a fridge magnet and give it as a wedding favour! You can have your customised design printed on PVC or even ask a supplier to create a 3D fibreglass of you and your partner’s face! The variations are limitless but we’re sure that this favour will click and stick! For couples who love music, a personalised music box is the perfect wedding favour for you! Customise it with your favourite song and maybe a miniature wedding couple spinning around when the music box is winded. You can also engrave your names or initials on the box. You can be really creative with this wedding favour and it will surely be music to your guests’ ears! There you go! These are just 10 suggestions for unique and tasteful wedding favours. You just have to be creative and mindful that these small tokens represent both of you as a couple and the whole celebration as well. Remember, be inspired and be creative! There you go! These are just 10 suggestions for unique and tasteful wedding favours. You just have to be creative and mindful that these small tokens represent both of you as a couple and the whole celebration as well. Head now to your nearest wedding specialty store or talk to your wedding organisers for more ideas and suppliers. May the odds be ever in your favours!